Tottenham are thought to be in talks to sign Dnipro winger Yevhen Konoplyanka, who was wanted by Liverpool in January. Tottenham head coach Tim Sherwood has played down reports that a deal is close for Dnipro winger Yevhen Konoplyanka. But Sherwood says there is ‘nothing definitive’ concerning the 24-year-old, adding no players will join the club unless he sanctions it. "Konoplyanka is certainly one who’s being talked about, but nothing definitive," said Sherwood, who was given an 18-month deal in December and fully expects to be in charge next season, despite speculation linking Louis van Gaal with the Spurs job. "I think we have to make sure we see a lot more of these guys before they come in, not just the highlights, because we’ve got to make sure we do our recruitment job on them. 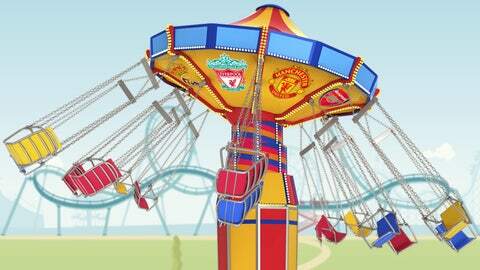 Which stars joined the transfer carnival ride? Find out with Rumor Mill. "I will sign the players, absolutely. Nobody else will come in here unless I sanction it. You can’t work any other way. "The manager has got to work with the players, so unless he gets the players he wants it’s always going to be an uphill task. He will always have the excuse of, ‘well, they’re not my players’. "Someone else has made those decisions in the past and I’ve not been privy to it. I know the type of players I want to improve the group and take it forward next season. "It’s out of my hands but I believe I’ll be here next year. I’m planning for next season. The players are playing for their futures."